Time: 5:30 p.m. - 7 p.m.
Additional information: Please join us for an all-levels yoga class taught by Adam Lane, board member of the Kansas City SCIA (Spinal Cord Injury Association). This class will be offered monthly and is geared towards the benefits of yoga for those who are disabled and their families. It is free of charge and we will provide therapists to assist people as needed with transfers and mobility. 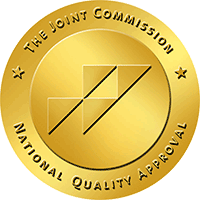 Our spinal cord rehabilitation program has earned Disease-Specific Care Certification from The Joint Commission.